Located in the eastern Karakoram range, the Siachen glacier is a source of freshwater supply for both India and Pakistan. Seventy-six kilometres long and covering an area of more than 700 kilometres, it is the longest glacier in the Karakoram and the second-longest in non-polar regions. Unfortunately, the Siachen glacier at an elevation of 5,400 metres, is at risk of disappearing from the world map, not for one but two reasons: the impact of global warming and militarisation of the glacier. In 1984, when India occupied a large part of the glacier it was transformed into the world’s highest conflict zone. 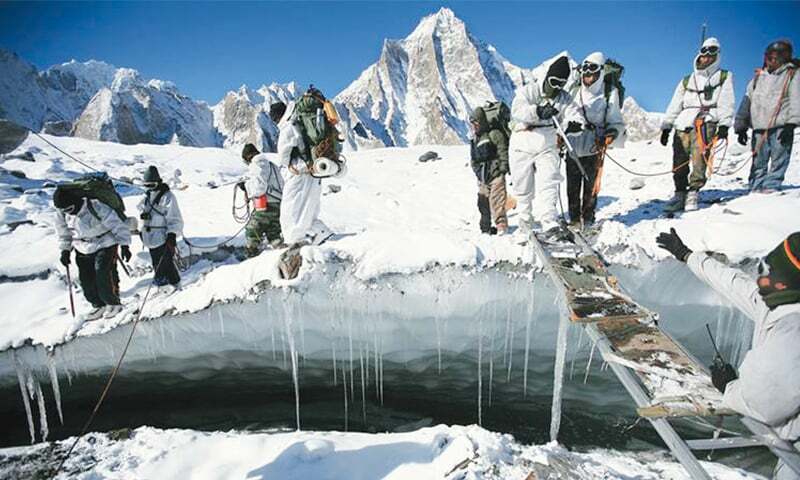 The melting and retreat of the Siachen glacier at an alarming and unprecedented rate is feared to have jeopardised the lives of thousands of soldiers deployed by both India and Pakistan since then. However, this has failed to alert India and Pakistan of the impending disaster. Turned into a battlefield and also because of global warming, the glacier is receding. According to a special report by Australian Disaster Management Consultant Jennifer McKay, published in the February 2016 edition of Inter Services Public Relations’ magazine Hilal, “The Gyari Avalanche in 2012 which took the lives of 129 Pakistani soldiers and 11 civilians, is a reminder of the risks to those who serve there.” In the last 31 years, the miltarisation has “inflicted a great deal of damage on this fragile environment. Building of pipelines, drilling, chemical leakage, human waste and construction of buildings in defiance of agreements, as well as troop movements and helicopter flights, have put pressure on the glacier and surrounding regions,” she writes. Second, the refusal of Indian army to withdraw from the glacier is because of its vested interest emanating from economic incentives and corrupt practices. During the visit of the then Indian prime minister Rajiv Gandhi to Islamabad in July 1989, India and Pakistan had reached an agreement on Siachen. But it was subverted by the Indian army on grounds of protecting national security. During his speech in the UN General Assembly’s annual session in September 2015, the then prime minister of Pakistan Nawaz Sharif had called for total withdrawal of Indian and Pakistani forces from Siachen so that the glacier could be saved from further destruction. But, as in the past, India rejected the Pakistani proposal to demilitarise Siachen. 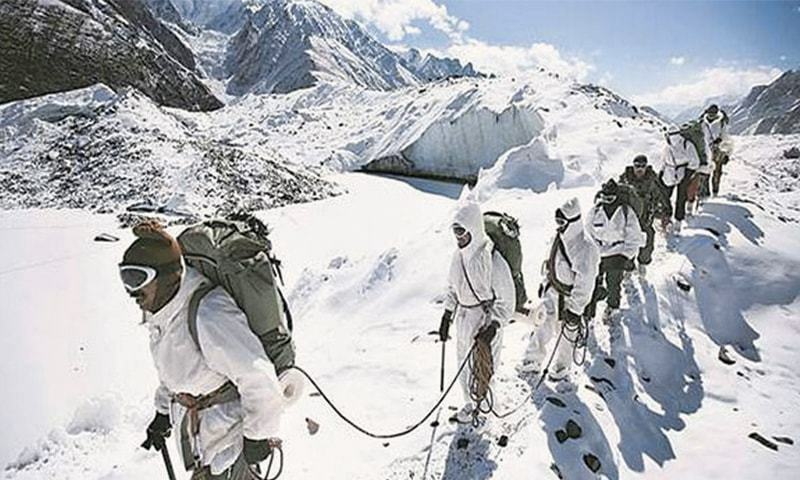 India’s refusal to demilitarise Siachen is perhaps due to its belief that by occupying the glacier it will have strategic advantage vis-à-vis China and Pakistan. But this obstinacy is expediting its sustained melting. 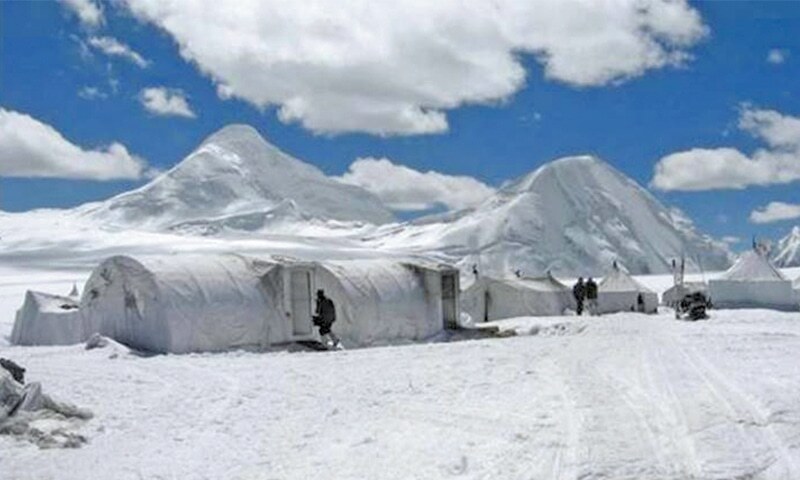 The heat generated from military activities in the region has resulted in a rise in temperature, cracks in snow and frequent destructive snow avalanches that endanger the lives of thousands of soldiers and non-military personnel. 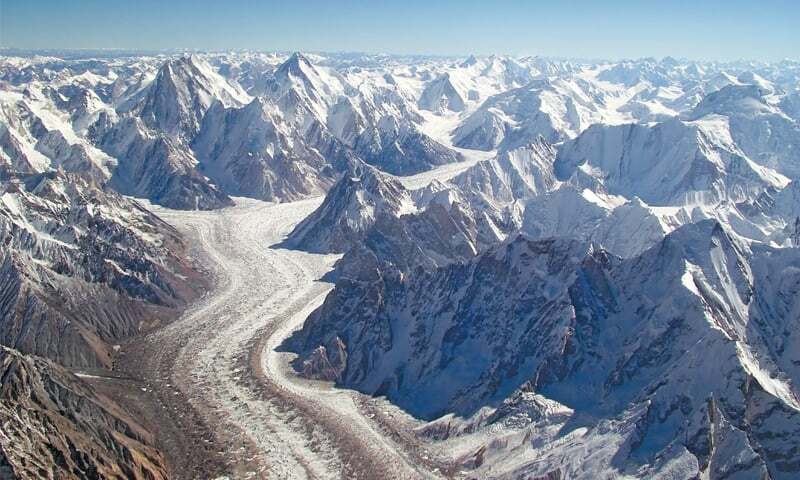 In March 2007, the Pakistan Meteorological Department (PMD) launched a study on “Melting of Himalayan glaciers, particularly Siachen, to human intervention”, keeping in view that [due to] mountain warfare, pollution and global warming pose a threat to the glacier. The melting of the Siachen glacier is a global environmental catastrophe because it will deprive millions of people from freshwater resources and put at stake the lives of thousands of military men engaged in battle there. It is true that global warming and climate change are contributing to the erosion of Siachen glacier but more than that it is the human lust for land which is the single greatest cause of the man-made disaster in the making. 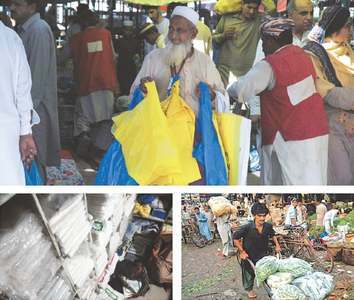 More than India, Pakistan will suffer due to the melting glacier. It is the main source of the Nubra River in Ladakh, which joins the Shyok River which finally joins the Indus River, cultivating millions of acres of agricultural land and providing hydel energy in Pakistan. During his visit to the Siachen base camp in June 2005, former Indian prime minister Manmohan Singh had called for “turning the entire Siachen region into a peace park.” It was in the aftermath of the tragedy at Gayari that the idea of transforming Siachen in to a “peace park” was given impetus. Environmentalists and peace activists were of the view that the peace park would in part help to preserve the ecosystem of the region. In September 2003, the governments of India and Pakistan were urged by the participants of the 5th World Parks Congress held at Durban to establish a peace park in the Siachen to restore the natural biological system and protect its indigenous species at risk. But even if Siachen is demilitarised, it will take several decades to conserve the glacier from total disappearance because serious damage has already been caused in the form of a rise in local temperature, deep cracks in the snow, the thinning of the glacier and avalanches. One hopes that sanity will prevail and India and Pakistan take the ground realities seriously. If the glacier is exposed to frequent avalanches, it will endanger the lives of thousands of military and non-military personal who are deployed at the world’s highest conflict zone. The “peace park” idea could enable demilitarisation on the glacier and collective damage control measures may help save the glacier from further erosion.